It's time to renew your membership. Download the 2019 Renewal Form. Member pricing to all SWFPA-sponsored events. Continuing legal education credits (CLAE credit to maintain certification) available through attendance at dinner meetings and local seminars. Formal dinner meetings include an educational speaker and a social hour for networking. Local seminars are offered on average once a year. If you have an idea for a topic or speaker you would like to see scheduled, please click here. Encouragement for continuing education through scholarships offered yearly to active and student members. 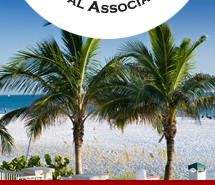 Recognition for upholding a code of ethics and professional responsibility established by NALA, the American Bar Association Code of Professional Responsibility, and the Florida Bar Association Code of Professional Responsibility. A local job bank to assist paralegals with finding employment and law firms with finding paralegals. To advertise a position FREE OF CHARGE, click here. Our association has four membership categories: Active, Student, Associate, and Sustaining. Obtained the designation of Florida Registered Paralegal (FRP) as identified by Chapter 20 of the Rules Regulating the Florida Bar. This is the only type of membership that carries full voting privileges. Active members are also the only members who may serve as officers, directors, or committee chairs. If you are interested in applying for active membership, please click on our membership application form. Student membership is open to any individual who is currently enrolled in a paralegal course of study at a college, junior college, or other school; however, student membership is not available to any individual who has successfully completed NALA's CLA exam. If you are interested in applying for student membership, please click on our membership application form. Involvement in the direct supervision of paralegals. If you are interested in applying for associate membership, please click on our membership application form. Sustaining membership is open to any individual, law firm, corporation, or paralegal program representative who endorses the concept or is actively involved in the promotion of the paralegal profession. If you are interested in applying for sustaining membership, please click on ourmembership application form.